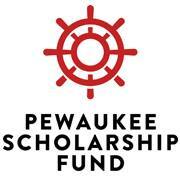 PEWAUKEE HIGH SCHOOL EDUCATION FUND, INC. The principal office of the corporation shall be located at Pewaukee High School, Pewaukee, County of Waukesha, State of Wisconsin. The corporation may have such other offices within the Pewaukee High School District as the Board of Directors may designate or as the business of the corporation may require. The registered office of the corporation required by the Wisconsin Non-Stock Corporation Law to be maintained in the State of Wisconsin may be, but need not be, identical with the principal office, in the State of Wisconsin, and the address of the principal office may be changed by the Board of Directors. Section 1. Annual Meeting. An annual meeting of the members shall be held within thirty (30) calendar days from the close of the fiscal year end. The date, location and time of each Annual Meeting shall be set by the Board of Directors no less than sixty (60) days prior to the selected Annual Meeting date. The Annual Meeting shall be held for the purpose of electing directors, officers and for the transaction of such other business as may come before the Meeting. If the election of directors and officers shall not be held on the day of the Annual Meeting, or at any adjournment thereof, the Board of Directors shall cause the election to be held at a Special Meeting of the Directors as soon thereafter as may be conveniently done and a quorum of Directors is present. Section 1. The affairs of the corporation shall be managed by its board of directors. Directors need not be residents of Pewaukee School District. Section 3. Regular Meetings. A regular meeting of the board of directors shall be held without other notice then this by-law, immediately after, and at the same place as, the annual meeting of members. The board of directors may provide by resolution the time and place for the holding of additional regular meetings of the board without notice other then such resolution. Section 4. Special Meetings. Special meetings of the board or directors may be called by or at the request of the president or any two directors. The person, or persons, authorized to call special meetings of the board may fix any place within the Pewaukee School District as the place for holding any special meetings of the board called by them. Special meetings of the board of directors may be held at any time and at any place without notice, if all directors consent to the holding of such meetings and waive notice of the time and place of holding such meetings. Section 5. Notice. Notice of any special meetings of the board of directors shall be given at least two days previously thereto by written notice delivered personally or sent by mail to each director at his address as shown by the records of the corporation. If mailed, such notice shall be deemed to be delivered when deposited in the United States mail in a sealed envelope so addressed, with postage thereon prepaid. Any director at any time may waive notice of any meeting. The attendance of a director at any meeting shall constitute a waiver of notice of such meeting, except where a director attends a meeting of the express purpose of objecting to the transaction of any business because the meeting is not lawfully called or convened. The business to be transacted at the special meeting shall be specified in the notice or waiver of notice of such meeting. Section 8. Vacancies. Any vacancy occurring in the board of directors shall be filled by the board of directors. A director elected to fill a vacancy shall be elected for the unexpired term of his predecessor in office. Section 9. Compensation. Directors shall receive no compensation. Section 1. Officers. The officers of the corporation shall be a president, one or more vice presidents (the number to be determined by the board of directors), a secretary, a treasurer, and such other officers as may be elected in accordance with the provisions of this article. The board of directors may elect or appoint such officers, including one or more assistant secretaries and one or more assistant treasurers, as it shall deem advisable, such officers to have the authority and perform the duties prescribed by the board of directors. Section 2. Election and Term of Office. The officers of the corporation shall be elected annually by the board of directors at the regular annual meeting of the board of directors. If the election of officers shall not be held at such meeting, such election shall be held as soon thereafter as conveniently may be. New offices may be created and filled at any meeting of the board of directors. Each officer shall hold office until his successor shall have been duly elected and shall have qualified. Section 3. Removal. Any officer elected or appointed by the board of directors may be removed by the board of directors whenever, in its judgment, the best interests of the corporation would be served. Section 4. Vacancies. A vacancy in any office because of the death, resignation, removal, disqualification, or otherwise, shall be filled by the board of directors for the unexpired portion of the term. Section 5. President. The president shall be the principal executive officer of the corporation and shall in general supervise and control all of the business and affairs of the corporation. S/He shall preside at all meetings of the members and of the board of directors. S/He may sign, with the secretary or any other proper officer of the corporation authorized by the board of directors any deeds, mortgages, bonds, contracts, or other instruments which the board of directors have authorized to be executed, except the cases where the signing and execution thereof shall be expressly delegated by the board of directors or by these by-laws or by statute to some other officer or agent of the corporation; and in general s/he shall perform all duties incident to the office of president and such other duties as may be prescribed by the board of directors. Section 6. Vice-President. In the absence of the president or in the event of his inability or refusal to act, the vice-president (or in the event there be more then one vice-president, the vice-president in the order of their election) shall perform the duties of the president, and when so acting shall have all the powers of, and be subject to all the restrictions upon, the president. Any vice-president shall perform such other duties as assigned by the president or by the board of directors. Section 7. Treasurer. The treasurer shall be bonded for the faithful discharge of duties in such sum and with such surety or sureties as the board of directors shall determine. S/He shall have charge and custody of, and be responsible for, all funds and securities of the corporation; receive and give receipts for moneys due and payable to the corporation from any source whatsoever, and deposit all such moneys in the name of the corporation in such banks, trust companies or other depositaries as shall be selected in accordance with the provisions of Article VII of these by-laws; and in general perform all the duties incident to the office of treasurer and such other duties as may be assigned by the president or board of directors. Section 8. Secretary. The secretary shall keep the minutes of the meetings of the members and of the board of directors in one or more books provided for that purpose; see that all notices are duly given in accordance with the provisions of these by-laws or as required by law; be custodian of the corporate records; keep a register of the post office address of each member which shall be furnished to the secretary by such member; and in general perform all duties incident to the office of secretary and such duties as may be assigned by the president or by the board of directors. Section 9. Assistant Treasurers and Assistant Secretaries. The assistant treasurers shall be bonded for the faithful discharge of their duties in the such sums and with such sureties as the board of directors shall determine. The assistant treasurers and assistant secretaries, in general, shall perform such duties as shall be assigned to them by the treasurer or the secretary or by the president or board of directors. Section 1. Committees of Directors. Standing committees may be appointed by a motion of the board of directors for specific purposes. their recommendations may be validated by majority vote of the board of directors. Section 2. Term of Office. Each member of a standing committee shall continue such until the next annual meeting of the members of the corporation and until a successor is appointed, unless committee shall be sooner terminated, or unless such member removed from such committee, or unless such member shall cease to qualify as a member thereof. Section 3. Chairperson. One member of each standing committee shall be appointed chairperson by the person or persons authorized to appoints the members thereof. Section 5. Quorum. Unless otherwise provided in the resolution of the board of directors designating a committee, a majority of the members present at a meeting at which quorum is present shall be the act of the committee. Section 6. Rules. Each committee may adopt rules for its own government not inconsistent with these by-laws or with rules adopted by the board of directors. Article VII. Contracts, Checks, Deposits and Funds. Section 2. Checks, Drafts, etc. All checks, drafts or orders for the payment of money, notes, or other evidence of indebtedness issued in the name of the corporation, shall be signed by such officer or officers, agent or agents of the corporation and in such manner as shall be determined by resolution of the board of directors. In the absence of such determination by the board of directors, such instruments shall be signed by the treasurer or an assistant treasurer and countersigned by the president or vice-president or the corporation. Section 3. Deposits. All funds of the corporation shall be deposited to the credit of the corporation in such banks, trust companies, or other depositaries as the board of directors may select. Section 4. Gifts. The board of directors may accept on behalf of the corporation any contribution, gift, bequest, or devise for the general purposes or for any special purpose of the corporation. The corporation shall keep correct and complete books and records of account and shall also keep minutes of the proceedings of its members, board of directors, and committees having any of the authority of the board of directors, and shall keep at the registered, principal or treasurer’s office a record giving the names and addresses of the members entitled vote. All books and records of the corporation may be inspected by any member, or his agent or attorney, for any proper purpose at any reasonable time. All books and records of the corporation are to be annually audited by a competent auditing committee. ARTICLE IX. Disposition of Assets of the Corporation. In the event of dissolution of the corporation for any cause whatsoever, all property owned by the corporation either real, personal, or mixed, shall be sold by the board of directors upon such terms and conditions as the board of directors may determine. The proceeds of such sale shall be paid by the board of directors to the School Board of Pewaukee School District of the Town and Village of Pewaukee, Waukesha County, Wisconsin to be disbursed by such board as it sees fit, to assist in the payment of costs and expenses incurred, or to be incurred, by any graduate of Pewaukee High School in connection with obtaining a higher education; all cash on hand and other property of the corporation shall be liquidated by the board of directors and distributed by them in the same manner as herein provided; any outstanding debts or liabilities of the corporation shall first be paid before distribution of the assets of the corporation as herein provided; no member of the corporation shall receive any proceeds from the sale or liquidation of any of the assets of the corporation in the event of dissolution thereof. ARTICLE X. Earnings of the Corporation. Any earnings or income of the corporation shall be for the sole benefit of the corporation and to promote the purposes for which the corporation is organized. No part of the net earnings or income of the corporation shall inure the benefit of any member of the corporation. ARTICLE XI. Fiscal and Membership Year. The fiscal and membership year of the corporation shall begin on the first day of May and end on the last day of April in each year. ARTICLE XII. Waiver of Notice. Whenever any notice is required to be given under the provisions of the Non-Profit Corporation Act of 1953 or under the provisions of the Articles of Incorporation or the by-laws of the corporation, a waiver thereof in writing signed by the person or persons entitled to such notice, whether before or after the time stated therein, shall be deemed equivalent to the giving of such notice. ARTICLE XIII. Amendments to By-Laws. These by-laws may be altered, amended or repealed and new by-laws may be adopted by a majority of the membership present at any regular meeting or at any special meeting, if at least five days written notice is given of intention to alter, amend, repeal or adopt new by-laws at such meeting. ARTICLE XIV. Unless otherwise provided in the By-Laws, Robert’s Rules of Order (Revised) shall govern the conduct of any meeting of the members, directors, or any committees of this organization.